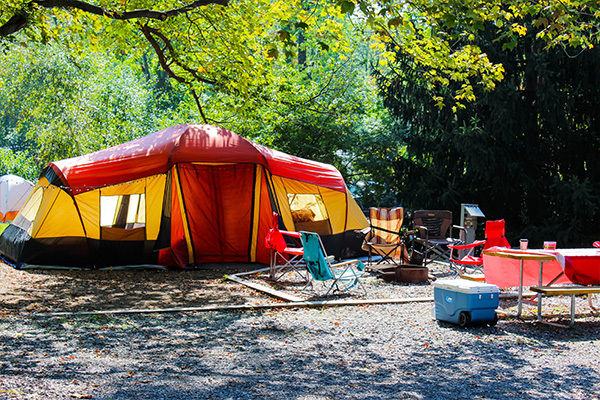 There’s nothing like enjoying the great outdoors while tenting with your family. 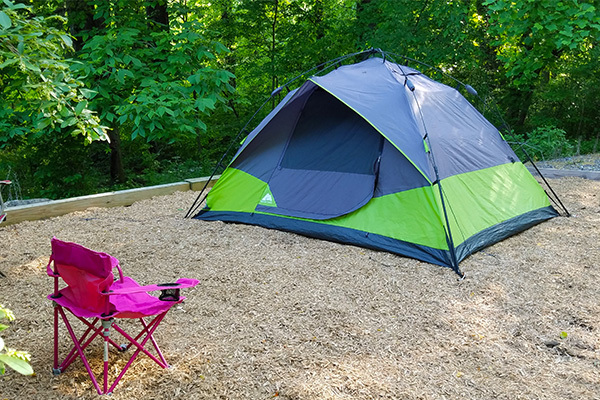 Enjoy a basic, primitive tent site or a deluxe tent site with water, electric, cable and a tent pad to keep you dry. Our tent sites are individual campsites, not just an open field. Many are under the trees or shaded. All of our tent sites have a picnic table and a fire ring. All are near one of our clean, modern bathhouses. We also have several dishwashing stations near your site. Water is available near all of our primitive tent sites. If the weather gets to you, head to the rec hall. A big screen TV, puzzles, DVD and a lending library are all there. We know your tent didn’t come with air conditioning, so jump into our beautifully remodeled pools. Wading pool for the littlest ones and a bigger pool available, all so you can cool off and relax. 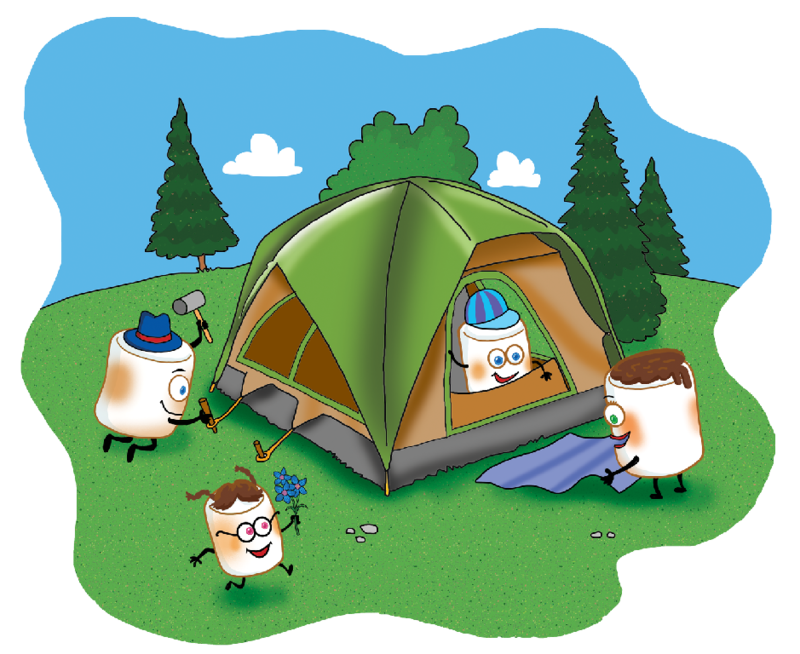 Not sure about tent camping? Try one of our Cabin Rentals. Camping doesn’t mean you have to rough it. Our Cabin Rentals will keep you high and dry while adding a little air conditioner or heat for you to relax. Girl Scouts, church youth groups, Boy Scouts are all welcome. 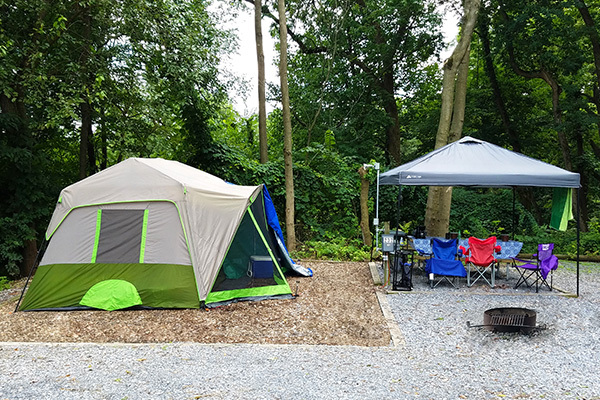 We have primitive tent sites available so you can have the room your group needs. Special rates are available, just give us a call. We have found over the years that tents just do not separate pets from mother nature enough to keep them safe and quiet. As a result, we’re sorry, we do not allow pets at the tent campsites.